By participating in The Chip Group’s People’s Choice Best Chips Competition you agree to the following terms and conditions. The Competition is organised by The Chip Group – a division of Potatoes New Zealand Inc. (PNZ). The Competition is supported by McCain Foods (NZ) Limited, Mr Chips Limited and Talleys. 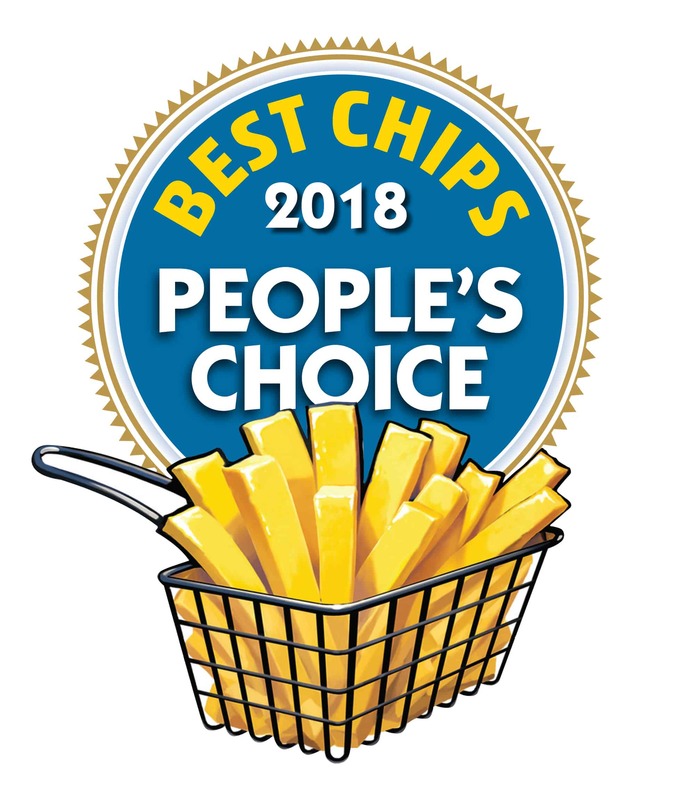 People’s Choice Best Chips award entrants do not have to meet a fat content, but at least 1 staff member must have passed Chip Group online training in 2018. Entrants to the competition must be voted for by a customer via the official Online Voting form on the Chip Group Website. Cross-checked via our Online Training Database to ensure they have completed training within the required period. Any entrants who have NOT completed training will not be eligible for the award. There will be one vote per email address. Voting will take place at any time during the period from 1st August –12th September to 2018. The total number of votes associated with the winning score will not be published. See website for details of prizes available. Stores may use any cooking oil/fat and any type of potato chips. The winning store cannot make any reference to any associated organisations or suppliers, without the written permission of The Chip Group. Any queries should initially be directed to Kate Underwood (Training and Education Manager – The Chip Group)via email to kate@potatoesnz.co.nz or call her on 022 066 8711.